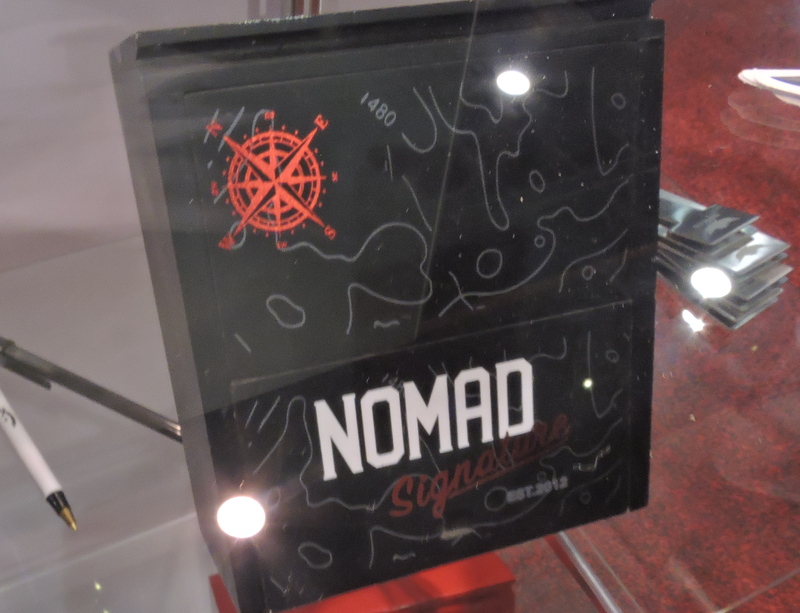 At the 2018 IPCPR Trade Show, Nomad Cigar Company would release what would become founder Fred Rewey‘s final cigar with the brand, the Nomad Signature. 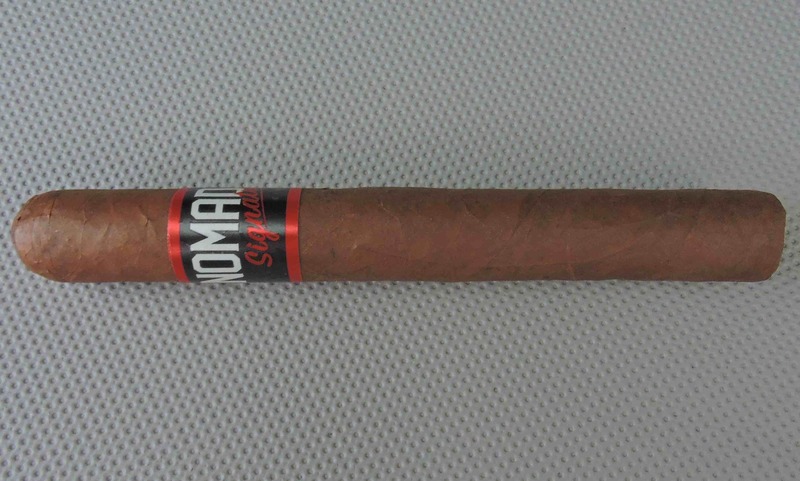 The Nomad Signature is a cigar that actually made its debut two years prior. At the time of the 2016 Trade Show, Rewey unveiled three cigars he worked on at James Brown‘s Fabrica Oveja Negra. These cigars included Nomad GB-19, Nomad Fin de los Mundos, and the Nomad Signature. Essentially these cigars were put into a very limited release in order to beat the U.S. Food and Drug Administration’s (FDA) August 8th deadline which would require pre-market approval from the agency. The three cigars were released in successive years: GB-19 in 2016, Fin de los Mundos in 2017, and Nomad Signature in 2018. 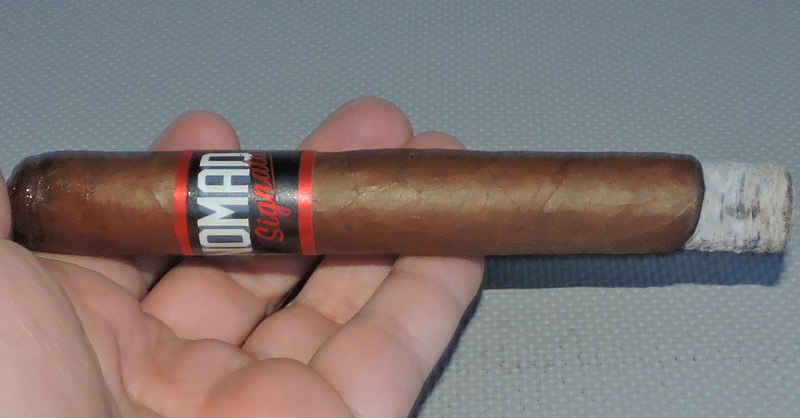 Today we take a look at the third of the three cigars, the Nomad Signature in the Toro size. Nomad Signature was originally intended to be the brand’s most premium release. While he was working to perfect the blend, Rewey discovered that a Dominican tobacco he was using was known to vary with each crop produced. He faced two options – stock up on the tobacco (which would be costly) or go with the flow. He opted for the latter, which essentially would turn Nomad Signature into a vintage release. Each year would use the same tobacco components, but the variation in the Dominican tobacco would essentially create variations with the blend. Whether or not Rewey’s vision of Nomad Signature becoming an annual vintage release will come to fruition is unknown. A little over a month after the 2018 IPCPR Trade Show, Rewey announced he sold the brand to Ezra Zion Cigar Company. Since then, Fabrica Oveja Negra owner James Brown mentioned on Prime Time Episode 80 that at this time, he is not producing cigars for Nomad. Let’s take a closer look at the Nomad Signature Toro and see what that cigar brings to the table. The 2018 release of the Nomad Signature features Ecuadorian tobaccos for the binder and filler. In addition to the Dominican tobacco mentioned above, the filler also contains Nicaraguan filler. The Ecuadorian wrapper of the Nomad Signature Toro is medium brown colored. This is a smooth wrapper with a light coating of oil on it. There are some thin visible veins. At the same time, the wrapper is dark enough to hide most of the wrapper seams. The Nomad Signature uses a new band design for the brand. It features a black band with metallic red trim on it. On the center of the band is the text “NOMAD” in large white font. Just below it is the text “Signature” in cursive red metallic font. To the left is a white antique car image – representing the vintage aspect of the project. Prior to lighting up the Nomad Signature Toro, a straight cut was used to remove the cap. After the cap was detached, it was on to the pre-light draw ritual. The dry draw delivered a mix of natural tobacco, cocoa, wood, and a touch of sourness. Overall there were enough positives to make the pre-light draw a satisfactory experience. At this point, it was time to light up the Nomad Signature Toro and see what the smoking phase would have in store. The Nomad Signature Toro started out with notes of cocoa, earth, and black pepper. Early on the cocoa notes became primary and took on a bittersweet quality and creamy texture. The earth and black pepper notes were joined by a citrus note which imparted a slight amount of sourness. Concurrently, there was some additional black pepper on the retro-hale. As the Nomad Signature Toro moved through the first third, I found a little more bitterness than sweetness from the cocoa. One the cigar moved into the second third, the pepper started to increase in intensity at a very slow rate. There was also a slight woody note that joined the earth and citrus in the background. Meanwhile, the bittersweet cocoa remained in the forefront – with a slight edge to the bitter component and the underlying creaminess. By the last third, the earth notes took over as the primary note. The underlying creaminess remained. As for the pepper, it stopped increasing and fell short of moving in as a primary flavor. Meanwhile, the bittersweet cocoa settled into the background, and there still were touches of citrus. The wood note that was present in the second third dissipated before entering the last third. This is the way the Nomad Signature Toro came to a close. The resulting nub was slightly soft to the touch and cool in temperature. While the Nomad Signature Toro had a relatively sharp burn line, there some meandering of the burn path this cigar seemed to take during the smoking experience. This was remedied by some touch-ups along the way, and I didn’t find this cigar required an excessive amount of them. The resulting ash was tight and firm with a mostly light gray color. Meanwhile, the burn temperature was ideal. I found this cigar burned somewhat quickly. It tan me and average of about 65 minutes to smoke the Toro size of the Nomad Signature. The Nomad Signature Toro maintained a nice balance between resistance and openness on the draw. As a result, the cigar was what I consider to be an low maintenance cigar to derive flavor from. At the same time, this was also a cigar that also produced a nice amount of smoke along the way. When it came to strength and body, the Nomad Signature Toro was a solid medium. Along the way, there was a nominal increase in intensity in both attributes, but when the cigar experience came to a close, the Signature Toro was still in medium strength, medium-bodied territory. Both the strength and body balanced each other nicely with neither attribute overshadowing the other. My first experience with the Nomad Signature Toro for this review cycle was quite frankly disappointing. The cigar seemed unbalanced with a lot of bitterness and sourness. The next two cigars I smoked (within the same week) were much better. While there still were some bitter and sour qualities (as described in the tasting notes), it wasn’t as prevalent as with that first smoke. Still, I think this cigar could have a better-balanced flavor profile – especially with the sweetness and spice. In the end, while this is a cigar I would steer to either the novice or experienced cigar enthusiast, I’d encourage that person to try a sample first. At $12.00, this is not an inexpensive proposition. As for myself, I was still encouraged by the second two cigars I smoked to tuck one of these away and see what some longer term aging does to it.